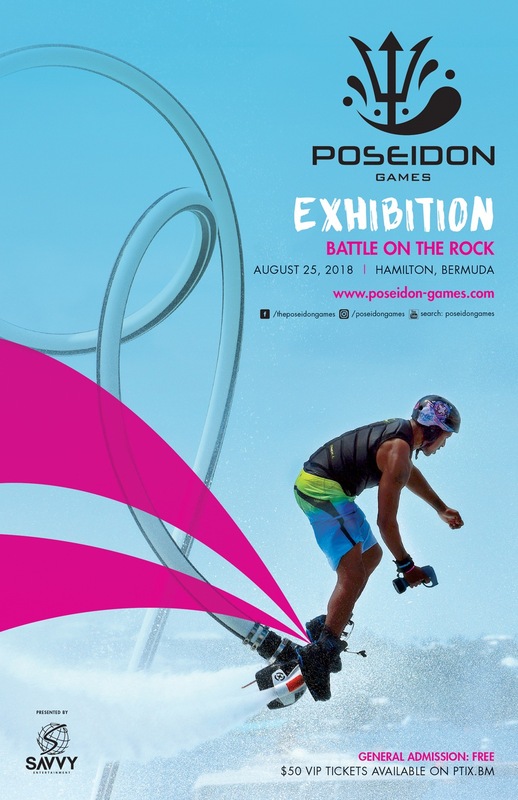 Savvy Entertainment has announced that the Poseidon Games dates have changed from June 1-3 to a single day hydroflight showcase, with the Poseidon Games Exhibition to be held on August 25. A spokesperson said, “The exhibition is set to take place in sunny Hamilton Harbour. A select few of the world’s most elite hydroflight athletes have been chosen to be ambassadors for the hydroflight community at the Poseidon Games Exhibition. These athletes will have the opportunity to show off their skills and talents to the public at a fun filled day of hydroflight awesomeness. “Poseidon Games Exhibition will play a crucial role in creating the foundation for the Poseidon Games TV Series set to air on multiple well known TV networks world wide later this year. “Hydroflight is still a very new sport. Here at Savvy Entertainment, we recognize this and fully see the potential in industry growth. We recognize that a huge part in helping the industry to grow is to educate the public about the sport in general,” said Savvy CEO Anthony Blakey. “We have designed this exhibition to educate the public and introduce the world of hydroflight to them in a new and dynamic way. It is important to us that we build an organic relationship with the public through education, ultimately turning spectators into fans and possibly even future competitors,” said Savvy COO Danilee Trott. “Poseidon Games the Exhibition will replace the Poseidon Games New York competition dates set for August 3-5, 2018. Poseidon Games the Exhibition is free to attend and can be viewed from the event village located in No1 Car Park Front Street Hamilton. “In addition, we encourage the boating community to join us and watch the exhibition from the water in Hamilton Harbour. You guys should incorporate wakeboarding/skiing and stand-up jet ski stunts possibly boat drag racing.